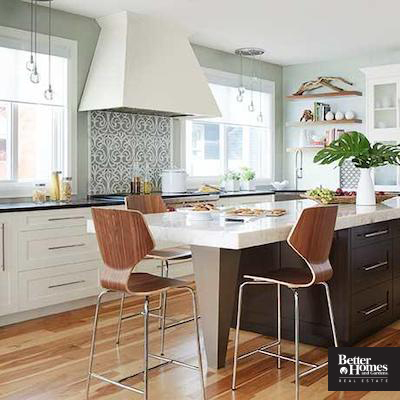 A new year is fast approaching and with it, a new catalog of home trends. 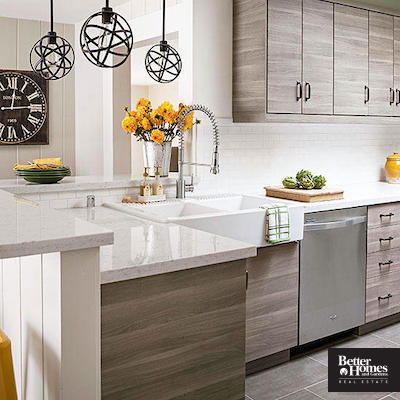 If you are looking to redesign your kitchen in the hopes of staying current with popular trends and also keeping a timeless look, you are in luck. 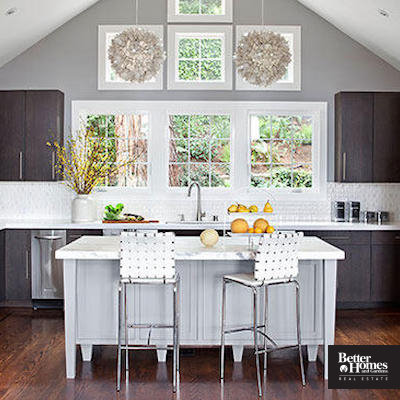 Better Homes and Gardens has put together a list of 16 kitchen trends that are here to stay so whether you are looking to give a facelift to your current space or looking to entirely start from scratch, you can rest assured that these kitchen looks will not leave you with an outdated space in the next couple of years. Lower maintenance than granite and just as beautiful, this stone surface is much easier when it comes to upkeep, costs the same as quality granite, but will last you for a long time. 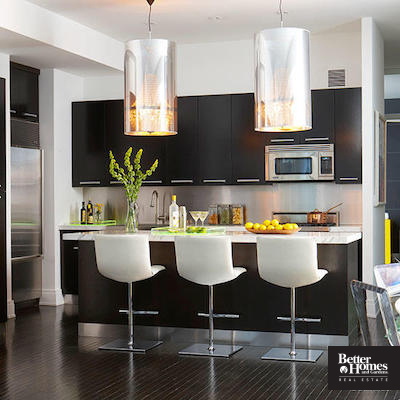 Open kitchens encourage interaction and entertainment by blending living spaces. So, for those looking to enhance the informal dining environment in their home, it is time to tear down those walls or remove those upper cabinet boxes. Induction cooktops are fast, safe, and look great. They use less heat so are great for smaller spaces and can even eliminate the need to oversized range hoods, leaving the door open for some amazing design possibilities. 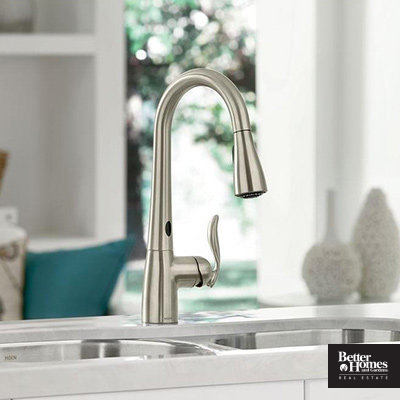 These faucets turn on with the wave of your hand making it easy to clean up messes and keep germs off multiple surfaces. 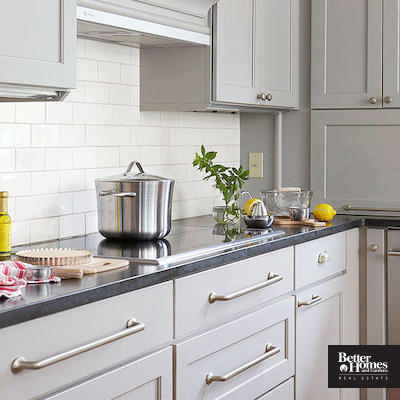 With many classic looks available, this is the perfect addition to any kitchen upgrade. When creating an open layout space, a single-level island is the perfect way to increase prep space, open up room from additional dining, and allow light to flow throughout the entire room. 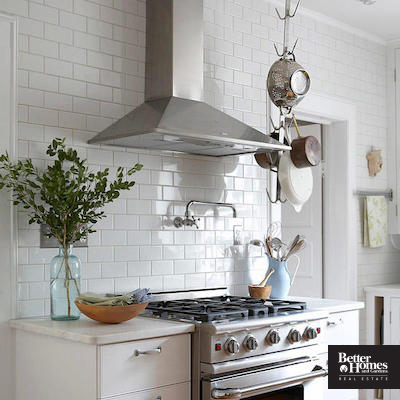 Subtle treatments like shallow coffers or medallions around pendants can add drama to an otherwise overlooked feature. 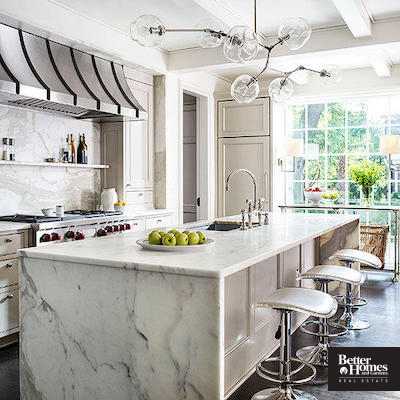 In a more open space, molding that complements the shape of an island can help define a large kitchen. LED lights have come a long way. Not only are they warmer and more appealing for everyday use, but the technology itself is more flexible. You can now include LEDs to illuminate your toe-kick, under cabinet area, and inside deep cabinets or drawers. By using clever paneling and built-ins, you can camouflage your appliances so they blend in with your overall kitchen rather than standing out. White will always be a classic kitchen color but an entirely white kitchen is stark and cold. 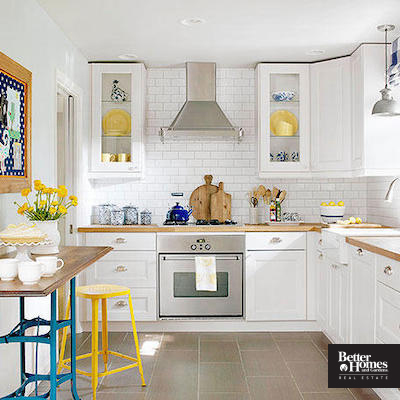 Instead, stick with bold colors for your accessories that you can swap out as your style or mood changes and feature white on your cabinets, backsplash, counters, and/or paint to keep the rest of the space neutral and clean. 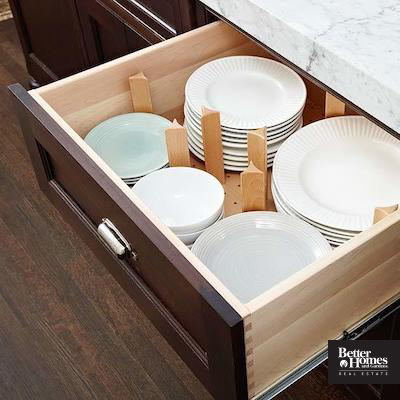 Deep drawers, especially by your range, make storage and cooking a breeze. They are easily accessible and with some organization add-ons, they keep everything from plasticware to pots and pans super tidy. 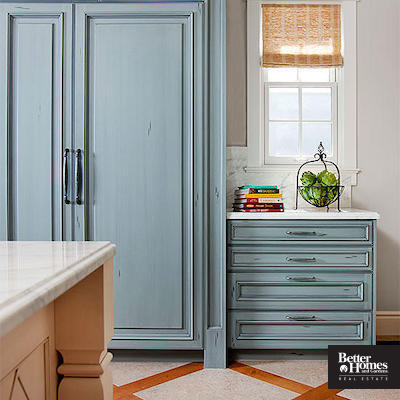 Less is more when it comes to upper cabinetry. The removal of upper cabinets makes for an open and airy feel and lets in more light from kitchen windows. 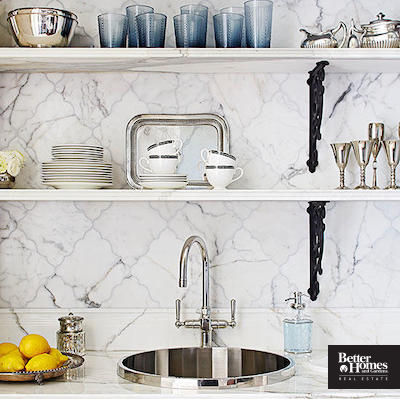 If you choose to display dishes or artwork, you can do so on open shelving. 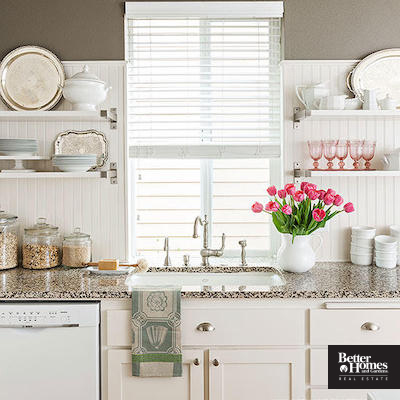 As a way to make your dishes a pop of color or focal point in the kitchen, open shelves keep your space looking open and clean. Heavy molding and ornate finishes are a thing of the past. In its place is a kitchen with strong and clean horizontal lines. 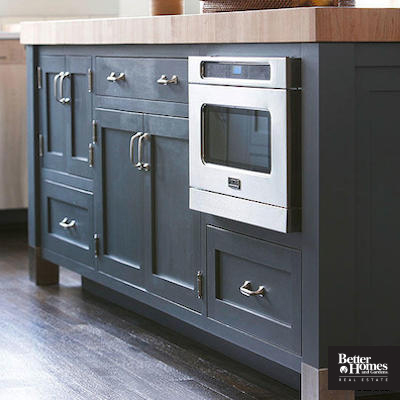 Horizontal cabinet hardware and flat front cabinet faces create a modern and sleek look for any kitchen. Oil-rubbed bronze, copper, and gold finishes come and go as trendy at particular moments but polished silver has never gone out of style. 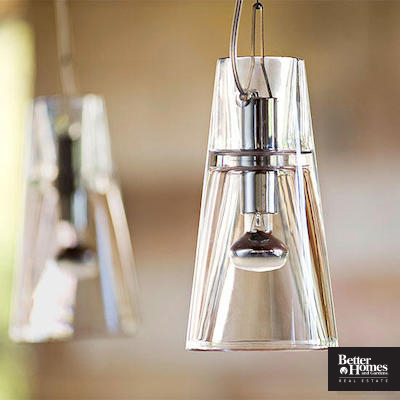 When it comes to faucets, cabinet pulls, shelf brackets, and light fixtures, chrome or nickel is the way to go. Kitchens are always a place of warmth so hardwoods will always be the number one choice but other adaptive materials are also easily incorporated. Luxury Vinyl Tile (LVT), which looks like wood and is easy to install and maintain, is growing in kitchen populaity as is ceramic tile made to look like wood planks. With upper cabinets coming down, so are the large, wall mounted appliances. In their place are smaller, undercounter microwaves and side by side ovens in the place of top-stacked dual ovens.